Share the post "How to Design a Narrow Hallway"
Most people have to deal with narrow hallways, especially those who live in limited spaces. Sometimes, they tend to neglect how their hallways look, turning out to be a “dumping ground” of different things that you need before you leave, making it unappealing in the long run. If you are one of them, you have to understand that you must not settle on boring, narrow hallway. Also, you have to keep in mind that your guests usually see your hallway first as they enter your house, therefore, you must invest ample time in designing it to provide an impressive, homey feeling. 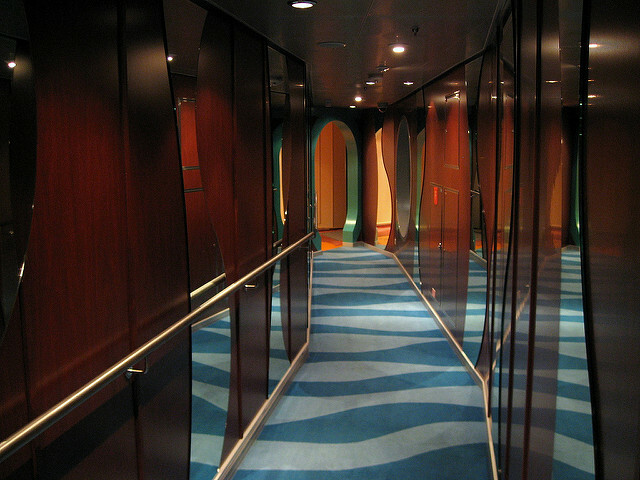 Moreover, a narrow hallway could possibly trigger claustrophobia, also known as fear of confined places. If you have left with no choice, simply because you have a limited space, designing your hallway to create an illusion of making it bigger can be achieved. Prepare your shopping list as you go through these amazing tips to ensure that you won’t have to worry about walking through the hallway, especially if you are alone. Get your pen and paper, and let us help you plan your shopping list. Here are some things you need to consider as you decide what design will work best on your narrow hallway. Add pictures on the wall. Add cute and classy frames on your shopping list, you can surely hang walls in your hallway! This will give your guests (even you) time to enjoy the walkway and could also help you dispel its boring ambiance. Position a mirror on one side. This will bounce the light and will also help you check on yourself once again before you leave. Clear the clutter by placing cute storage solutions. Again, it’s what your guests will see immediately so you have to keep it clean at all times. Wallpapers or murals are also amazing – drawing on the walls can be an amazing bonding with your kids! Now, if you have less than 4 feet and you can possibly rub your elbows on the sides, don’t fret, there are a bunch of solution to your problem! 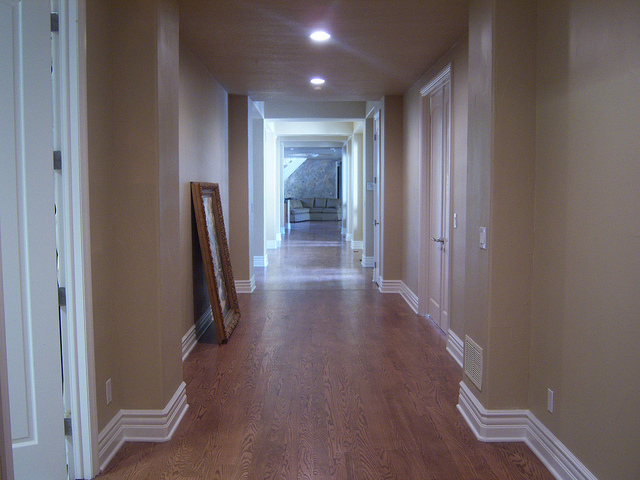 Light Fittings – to eliminate that “claustrophobic feel,” your narrow hallway should be well-lighted. The mirror must be placed at the end of the hallway to have that “extended” feel. A long runner will add oomph to your boring long way. Choose geometrics for additional style. These are surely effective in making your narrow hallway less claustrophobic. Take advantage of its simplicity by adding amazing designs. Again, it should not be neglected so take time planning your shopping list so that you won’t forget anything that will help you achieve a relaxing and eye-catching hallway.